Stevensons Doors provide the highest quality products and services for all your industrial, commercial and domestic roller and sectional door and grille requirements. We started in the doors business in 1987 (as a division of Stevensons Structural Engineers (1978) Limited), and have been operating independently as Stevensons Doors Limited since 1996. When you deal with us, you can be assured that your work will be completed to your requirements. Guaranteed. Based from our Palmerston North workshop and manufacturing facility, our door teams install and service throughout the lower North Island, and our doors are supplied through distributors throughout New Zealand. Our friendly and experienced doors staff are able to provide you with expert advice and recommendations for the best doors and options for your individual requirements. Stevensons Doors aims to provide the highest quality products and service for all industrial door requirements. 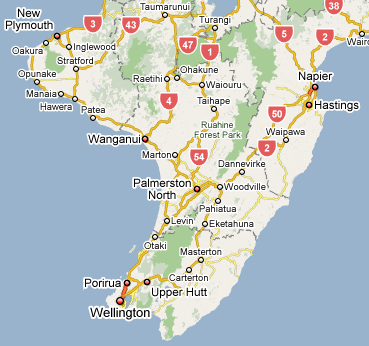 From our Palmerston North workshop and manufacturing facility, we supply throughout New Zealand. Our industrial roller shutter doors and manufacturing processes were designed from the ground up, as we strive to achieve the best value product on the market. Stevensons Doors design advantages provide benefits from ease of installation, through to excellent serviceability, and longevity of the product. Our roller shutters consist of interlocking slats, precision roll-formed from galvanized steel coil. Major door components are manufactured in-house, and we supply leading brand accessory components, motors, and controls. After leaving College I started work at Ernest Adams entering the warehouse & logistics team, working there for eighteen and a half years, Then furthering my management skills into the transport and logistics industry. I have a passion for success and enjoy my role working with the team at Stevensons Doors, and continuing the company’s growth as a trusted major player in the market place. I have been working at Stevensons Doors for thirteen years, starting with a broom, and working my way to production supervisor. I oversee the installing, quality and help with quoting and technical work. Copyright © 2019 - Stevensons Doors Limited.